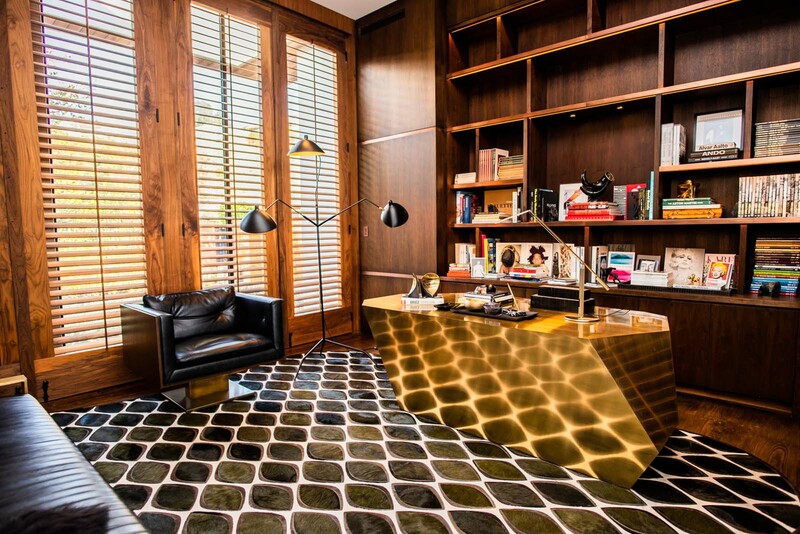 Monumental brass geometric "Popova" desk designed by Scala Luxury. 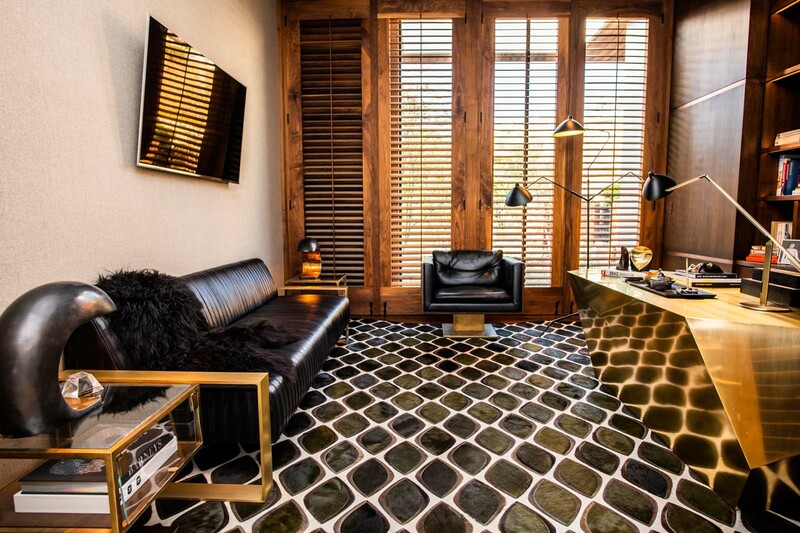 This fascinating and exclusive piece is impressive through its geometric design and elegant lines. The desk is handmade and the surface is finish in a hand brush polish. 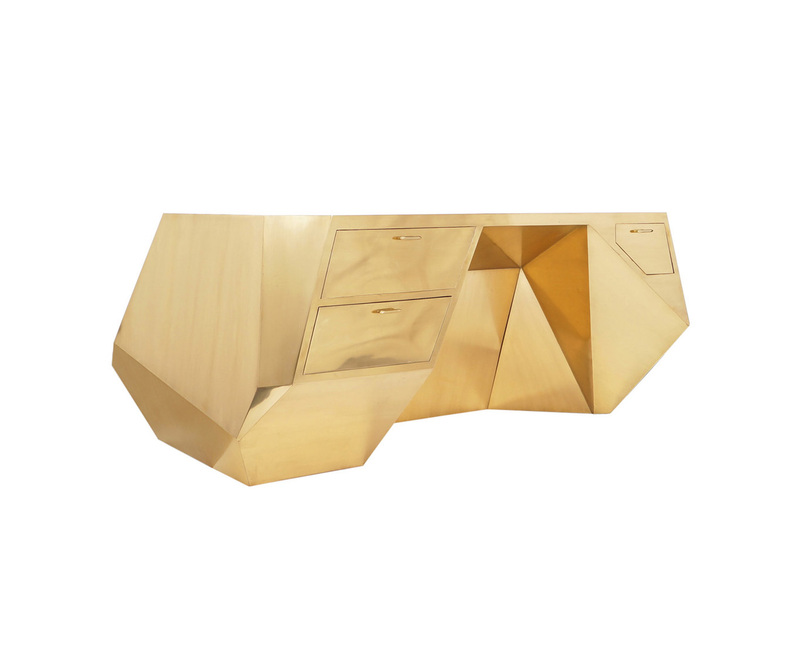 It has geometrically shaped drawers which are made from solid mahogany with a soft gloss top coat . 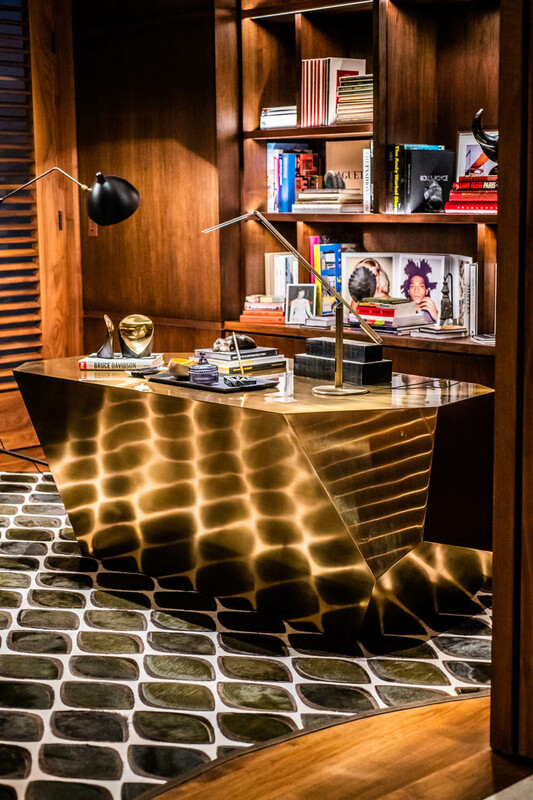 This spectacular desk is breathtaking! Top quality craftsmanship.